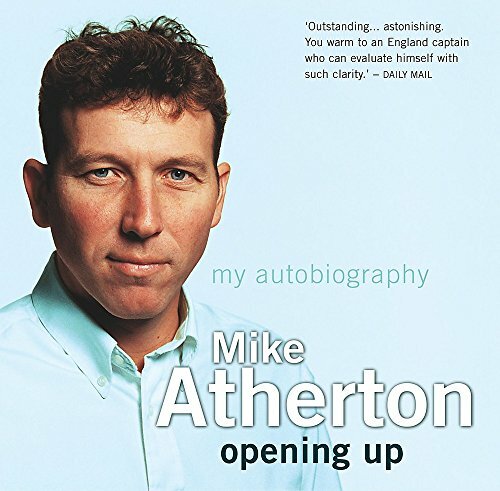 Mike Atherton, England Captain and the most consistently successful cricketer of the last two decades, gives us the inside story of cricket in the biggest sports audiobook of the year. Read by the author. Mike Atherton is the most articulate and perceptive captain of English cricket since Mike Brearley. He was also one of the most determined batsmen of the nineties, and as an opener, a vital component of the England team. Atherton has played professional cricket for Lancashire and England for 15 years, despite a serious back complaint. He represented England in 115 Test matches and captained his country on a record 54 occasions. His recovery from a difficult situation in 1995 (when he was accused of ball tampering during the first Test match against South Africa at Lord's) proved a tough hurdle, yet one that would strengthen his resolve. His autobiography contains many serious observations about world cricket, as well as humorous asides and perceptive insights into the game. A born writer, this is Atherton in his own words. If you have any questions about this product by Hodder & Stoughton Ltd, contact us by completing and submitting the form below. If you are looking for a specif part number, please include it with your message.